Welcome to our Community Bookstore! 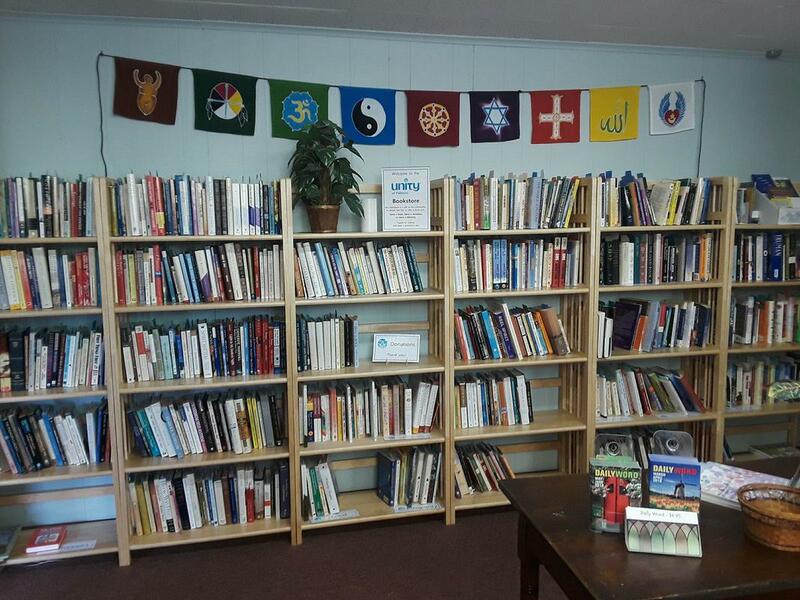 Our shelves are stocked with donated books, and are free to everyone. You may use the Bookstore to take a book, or borrow one. And we’re always grateful for any books you want to recirculate through our shelves. Our selections include biographies, children’s literature, food, families, spirituality, healing, relationships, sacred texts and much more! The Bookstore is open Sunday mornings and during regular church hours (Tuesday – Thursday, 9:00 a.m. – 2:00 p.m.). All bookstores, from big chains to tiny dollar book fairs, have this sacred atmosphere.